Maintaining a good credit score is not easy. Just a single late payment can instantly shave points off your credit score as can a debt to income rate that suddenly increases. In addition the three credit bureaus do have a frustrating habit of assigning credit scores that are different to one another for the same individual. So while you may have a 660 credit score with one bureau – a score which should put you at the upper end of the “fair” credit score range – it may be as low as 600 with another bureau which places you barely into that fair credit slot. That is why it is so hard to pick a certain credit card offering that anyone could say a person with x credit score in the fair range will be approved for. Lenders are also tightener up their lending requirements in the face of a down economy so a score that they found acceptable a year ago may be a reason for rejection now. Easy to get credit cards for fair credit can therefore be hard to come by. There are one or two that regularly accept those with fair credit but the only real “easy to get” credit cards for fair credit are those that require a security deposit of some kind. Because it does not require a huge security deposit this card may not be accessible to those with bad credit but if you have fair credit there should be no problem. A $95 security deposit secures cardholders a $300 credit limit, making this card one of the more “generous” secured credit cards available today. The interest rate is very high though – 49.5% – so paying off your balance in full every month is almost a must. However the real point of a secured credit card like this one is that you use it responsibly, pay off your bills quickly and increase your credit score from fair to good, which will enable you to get a unsecured credit card with all those perks and benefits you would like to enjoy! With this secured credit card you will only receive a credit limit that is equal to your security deposit but the annual fee is much lower than that charged by other secured cards and there are opportunities for credit limit increases once an excellent payment record established. The minimum security deposit required to open an account is $200 and the account can be funded in several different ways. The card activity is reported to all three credit bureaus. 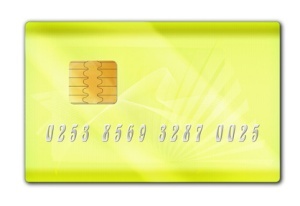 This is not a secured credit card but it is the one popular credit card offering that it has been found that people with a credit score in the mid-upper fair credit score range can obtain fairly easily even though their interest rate is likely to be accessed at the upper range of the scale and their credit limit a little lower. They will however have a chance to earn 1% cash back on all purchases and 2% cash back on gas and groceries. When you apply for the Capital One No Hassle Rewards card if you are not approved you will be offered the chance to obtain a Capital One Secured MasterCard instead. This credit card requires a minimum security deposit of either $29, $49 or $99 depending on an applicants actual credit score and that earns a card holder a credit line of at least $200. As you build a good payment history on this card you will be considered for a credit line increase and eventually the chance to “graduate” to a Capital One unsecured credit card offering. Whether you do qualify for an unsecured credit card or have to settle for a secured account the real point to holding any of these credit cards is to establish(or re establish) a good payment record on a credit card account in order to build up your credit rating so that other cards and loans are available to you. The best way to do this is to use the card on a regular basis but to make sure you pay off your balance in full, and on time, every month. Each time you do this that responsible financial behavior will be reported to the credit bureaus and this is the quickest and easiest way to increase your credit scores from a fair to a good rating.